In this fascinating little book, Baden-Powell uses his extensive military experience and memories of service in Africa to distill soldiering down to 'the four C-s': Courage, Common sense, Cunning and Cheerfulness. 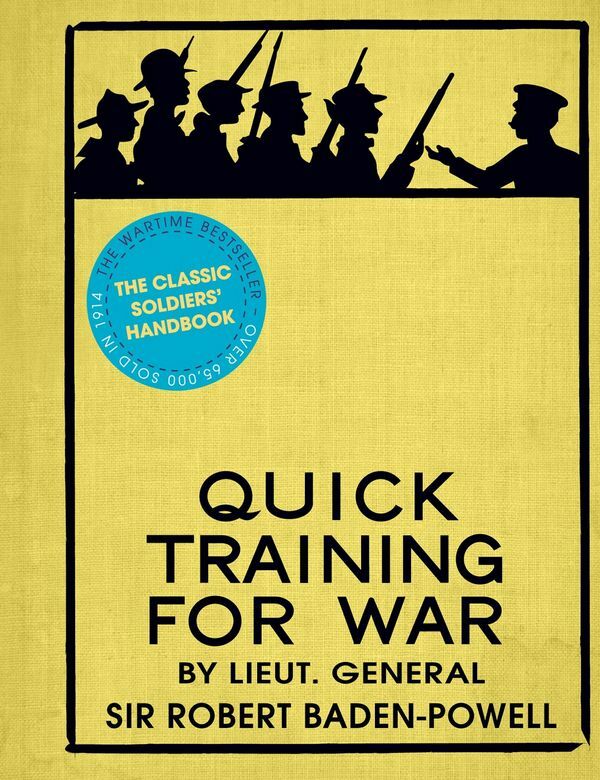 With observations gleaned from his campaigns against the Zulus, the Ashanti and the Boers during the period 1876 1910 (and even from conversations with the German Kaiser), B-P discusses all aspects of military service from digging trenches and earth-works to 'inculcating cheerfulness in your men'. 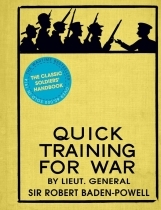 This period document gives a unique insight into the mindset of the British officer in 1914; advocating a training system that encapsulated Edwardian values, conventional military thinking and centuries of army tradition. Quick Training For War is a perfect example of the type of war the British expected to fight and which they prepared for in 1914, and it became a standard survival guide for many British troops.